Pizza, beer, friends gathered around the big screen on gameday – what could be more classic? It’s no surprise that sports sponsorships play a major role in the marketing strategies of quick-service restaurant brands across the country. But how do we know that these sponsorships are driving maximum impact? 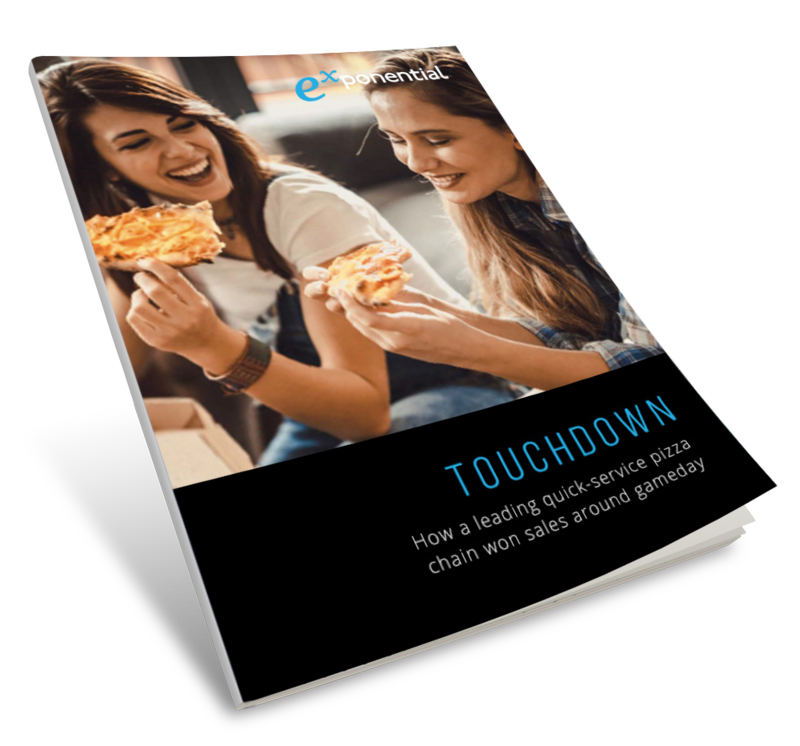 We worked with a leading quick-service pizza brand to understand the correlation between advertising around major sporting events (specifically NCAA football games) and the number of online orders received. The brand was also interested in discovering how digital advertising could augment their sports sponsorship commitments. What factors were considered in this study? View the full study to see the results and learn how Exponential can help your brand drive sales, grow market share and increase brand recognition around gamedays.